Wish your Chinese friends a very happy new year by sending this greeting card. The card is designed with sparkling stars, crackers and buildings. 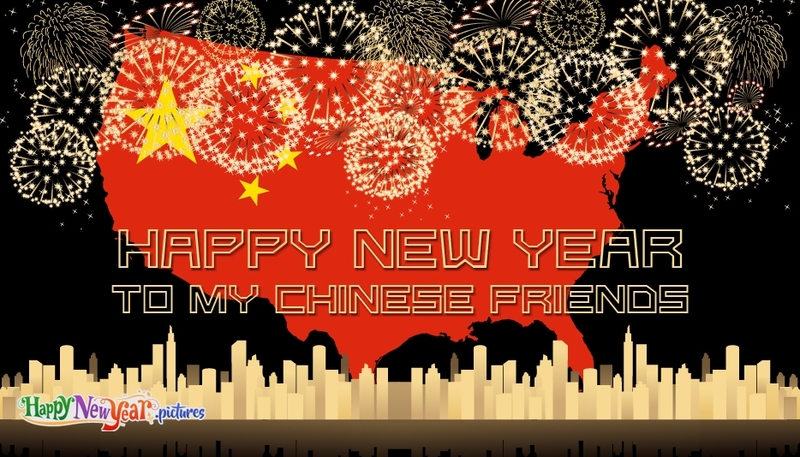 It shows the text "Happy New Year to My Chinese Friends". Send this card to your chinese friends and make them feel loved and happy on this special day.